When buying a home, there’s a long list of considerations you’ll have to make. How many bedrooms do you need? How much time do you have to find a new home? What’s your max price? You’ll also have to consider location, and St. Louis has dozens of great neighborhoods to choose from. 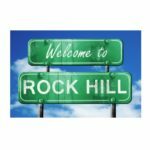 Rock Hill is a great option for many people, but, like any neighborhood, it has its strengths and weaknesses. So before searching for homes for sale in Rock Hill, MO, it’s important to do your research to be sure it’s the right fit for you. Rock Hill is located near the border between St. Louis City and St. Louis County, so it’s in a central location just minutes from downtown. According to Zillow, the average price of houses for sale in Rock Hill, MO, is about $192,000, which is higher than the average prices in both St. Louis County and St. Louis City, $117,000 and $113,000, respectively. There’s also plenty to do in Rock Hill, with Forest Park, the Saint Louis Zoo, and the Botanical Garden just a few minutes away. The neighborhood also has a bustling downtown with plenty of shops, restaurants, and businesses nearby. When you buy a home, the real estate agent is a crucial component. So as you start browsing for homes, also be sure to look for licensed Rock Hill real estate agents. However, not all Rock Hill Realtors will be a good fit for you. Be sure to find a Realtor who not only knows the area well and has bought and sold homes in Rock Hill in the past, but who you also get along with on a personal level, because it’s hard to trust someone with the biggest purchase of your life when your personalities clash. Once you’ve decided that Rock Hill is the neighborhood for you and you’ve found the right agent, you’re ready to start the search for your perfect house!